Jaguar XJ tuning : A beast is not born, it is made. The exact time was unknown, for time was not the measurement of the night. That would be power. At some time around midnight, the ground rumbled, and the beast exploded into life. Residential windows for blocks around rattled, the ground shook and sleepy fingers fumbled for light switches, bleary eyes strained through misted windows to search the street for the source of such a roar, for the beast was now alive, and its growl would wake the dead. 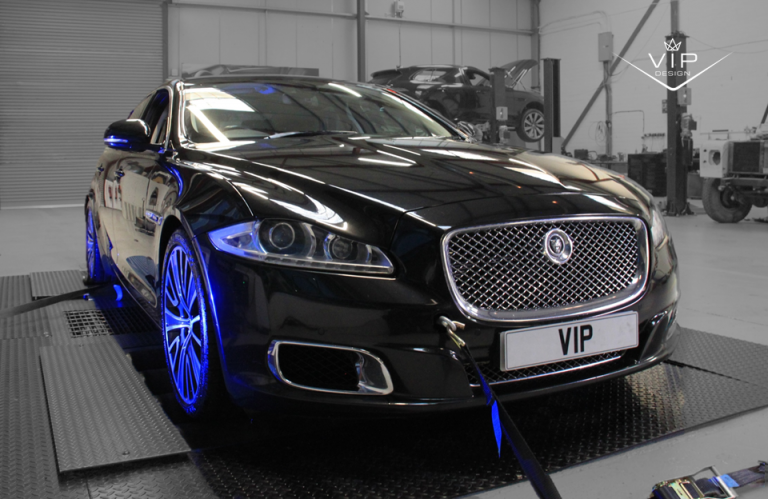 Jaguar XJR tuning and Performance Upgrades from VIP Design ……. The VIP Design Jaguar XJR 650bhp tuning and upgrade package, available for all short, standard and long wheel base Jaguar XJR’s that want to be seen, heard and driven. The VIP Jaguar XJR-S package includes, full manifold back exhaust, including 200 cell cats, large bore performance exhaust, supercharger upgrades, cooling uprates, air filters and unique VIP engine management software. 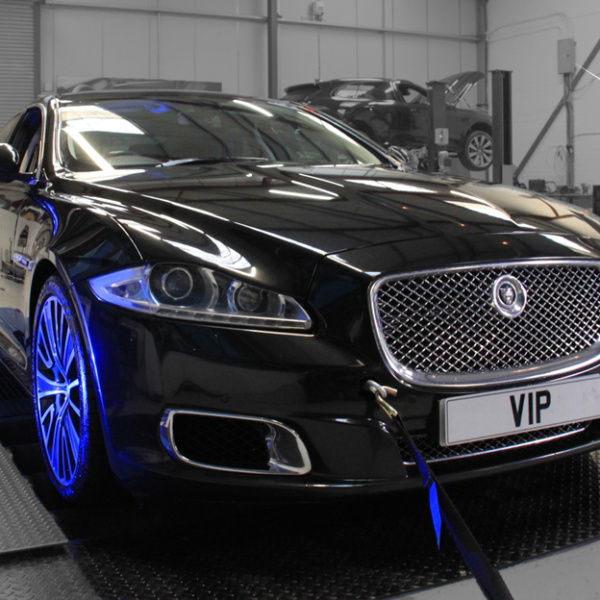 The VIP Design Jaguar XJR 650bhp tuning and upgrade package is featured here fully fitted at the VIP UK workshop, if you cant make it to us, don’t worry, mail order packages for worldwide fitting and installation are also available.